It’s been All Olga All the Time at the feisty local tabloid this weekend as the Boston Herald wages jihad against embattled Department of Children and Families Commissioner Olga Roche. And, of course, there’s the standard-issue Time to clean house editorial. Today, on the other hand, Roche is reduced to the top of Page One. Then again, the DCF commish also gets the traditional His ‘n’ Her columns by Howie Carr and Margery Eagan (they make great parting gifts! ), neither of which is especially kind to Roche. Where are the editorials? The op-ed columns? 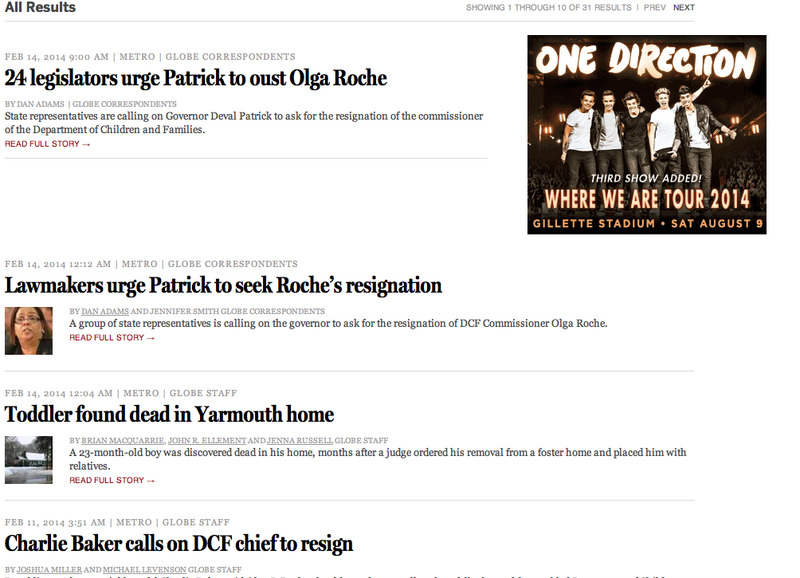 Doesn’t anybody at the Globe have an opinion about the dismal state of DCF affairs? 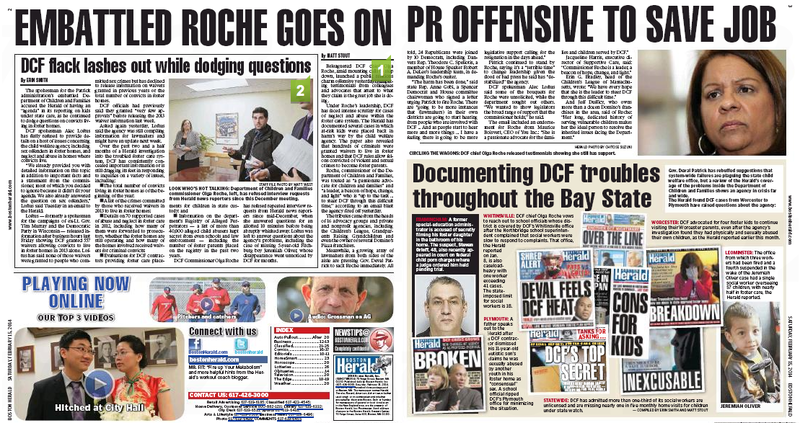 We’re not saying the Globeniks should go all Howie on Roche, but damn – something’s in order here, isn’t it? For the moment, at least, it’s not just Deval Patrick who’s looking disengaged. This entry was posted on Sunday, February 16th, 2014 at 5:44 pm and is filed under Uncategorized. You can follow any responses to this entry through the RSS 2.0 feed. You can leave a response, or trackback from your own site. What are those little green numbers doing there …? Damned if we know, Jack.